I was looking through “The Weyland-Yutani Report” the other day and found some interesting things. One among them was that the beacon from LV-426 had already been recorded by “Mother” on their way to Thedus to pick up the refinery (loaded with mineral ore) to take back to Earth. The crew arrive at Thedus in April 2121 and stay there for 8 weeks. Captain Dallas has been on Thedus before (but has not come across the beacon from LV-426), but in this case, their science officer is replaced by Ash who has been stationed on Thedus. 12 months after the departure from Thedus, they are awoken from hypersleep by Mother as they approach Zeta 2 Reticuli. Mother has also taken a closer route to the system than the normal one. Mother also instructs Ash with the special order 937 . . .
From the prequels to Alien, we know that Shaw sent a message (January 1, 2094) to Weyland Corporation about the incident on LV-223 and David told Weyland-Yutani (now merged) everything about the mutagen and the xenomorph sometime after the incident on Planet 4 (somewhere around 2104/2105). The horrors of Alien occurs within 24 hours sometime around April in 2122. I don’t think we have the date, but it’s possible that it’s connected to Easter and the sacrifice of Christ . . . There are a couple of interesting questions here. There had been regular traffic between Earth and Thedus for some time, why hadn’t the signal from LV-426 been recorded earlier? Fiorina is also somewhere in The Outer Rim and hadn’t picked up the signal despite transports back and forth of convicts and supplies. Given what we know from Alien: Covenant, wouldn’t W-Y (wanting the xenomorph) more actively be searching for Planet 4, LV-223, Origae-6 (and perhaps David)? I haven't read the report, but remember an AC teaser where David was telling of his experiments and results apparently to WY? If that is true, maybe they were not searching for him but waiting to hear from him? I think we have heard and seen alot of bonus material that is contradictory at best on this one. Namely, the Peter Weyland Files from the special features for Prometheus. The Weyland files (I'm not sure what part whatever) state very clearly and literally that Mr. Weyland and David are aware of the signal on Lv_426. They have it ear marked, but think that Lv_223 has the answers to life and death. With the way the prequels have taken shape and all the books and behind the scenes stuff, we can't be totally sure what the truth is here. That being said, I think that the signal requires one to be searching for it to be found. Weyland was scanning (or whatever) that system for whatever reason and picked it up. I don't really know if anyone just on the way to or from Thedus would really have an opportunity to catch that signal. The Nostromo was sent off course to get the specimen. I don't think that it was a coincidence. Maybe it was when Alien was released, but that has changed. Planet 4 - As far as I know David did not reveal his location to WY in the Advent special feature. I can't remember. It was him trying to reconnect himself to humanity (to destroy it), so he just gave them notes and drawings. I can;t be sure on that though. I wouldn't be surprised if WY knows about Planet 4 in canon. Either way, this is one of the inherent problems with prequels. Introducing new elements (while necessary) almost always leads to the, "Where was [insert noun here] in the originals?" It really grinds my gears! 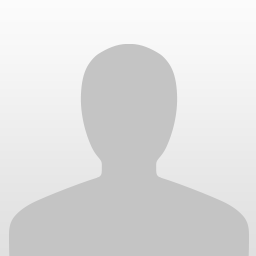 Lv_223 - Who knows. This goes back to that inheirt problem. I don't know, maybe it was basically in Weyland's personal files or just a really high clearance level kind of thing, so not many people know or are interested in it (for now). Origae-6 - Hopefuly we'lll find out in the next movie! If it happens. I had an idea the other day that if WY, the colonists, David, and the Engineers do have a sort of war or battle that either David wipes everyone out and when the company stops hearing from their own, they assume the worst and start to scour the universe for Xenomorphs. So they can learn from, control, cross breed, and break them down to defend themselves aginst David, the Engineers, and whatever else is out there. Or, maybe the Engineers are the ones who wipe everyone out. Maybe David survives and thats one reason WY is hesitant to go back to Origae-6/Planet 4 (fear, unpreparedeness.) Or maybe the two entities will come to an agreement and David's future is to continue learning, improving, and building out in the far reaches of space. I can only assume that Mother/AI knows Planet 4's address (below) after the continued link shown in Advent cuponator3000. Great point regarding Thedus chli and wonderful overall topic. It is hard to decipher the context of the Advent message in (early 2100s) but my interpretation was that the name signified an event, an arrival of a god. Certainly not the Christian God and the sacrifice of Christ (the first coming) cited above but a god Peter Weyland believed he could create by harnessing all of man's works and knowledge (pride). All of these works and knowledge would be used in creating a vessel he could reside in, David. This did not work out. It never has. David knew it when he woke up for the first time and asked his "father" what he was to do once his father would inevitably die (how presumptuous of David it was to think Peter would not cure death, get me tea). You know how I got this rich? I ask myself: what does God spend his time doing? And I go and do that. Dr. Elizabeth Shaw laughs incredulously. Stifles it. Weyland’s not joking. Peter Weyland (CONT’D) Biotechnology was good to me. Fusion power. Lately doing well with gravity systems. He swivels his chair toward the window. Earth shines outside. But what’s the first thing God did? He made the Heaven and the Earth. Weyland jabs a finger at her like she’s won a carnival prize. That’s what I’m talking about. You left out my favorite part. The piece about Earth. David. For eons, Earth’s climate swung from hothouse to ice age. Explosions of life, then mass extinctions. But twelve thousand years ago the swings stopped. The Holocene Epoch began - a period of anomalous tranquility. The rise of civilization began only then. Holloway and Watts stare at DAVID with new appreciation. And that change coincides with a visit by the Engineers. They didn’t just change us. They changed our world. That’s the piece I mean. The vessel, David, now appears to be instrumental in the "second coming" of something the Engineers lost to timidity, the xenomorph. I believe that is the context of the title Advent. The first coming in the context of the Engineers would be the xenomorph shown on the Prometheus mural in this scenario. In David's notes above, the xenomorph is described as "xenomorph as glorious synthesis and poetic culmination of the species." Isn't that what David is to the humans? David is a synthesis of the culmination of knowledge gained by the works of humanity. Peter Weyland acquired most if not all the best of humanity's knowledge and technology and harnessed it to produce David in order to reach the stars to attempt his goal. The culmination of the Engineer species is the virus/xenomorph (above notes) and it was locked away in urns because they became timid. This, to me, AI angle gives depth to the xenomorph story but it is a bore to others. I guess you can pass through any museum on this planet, look over the best works of art framed and hung on the walls, and still hear complaints. In Alien: Sea of Sorrows (nearly four hundred of years later after Advent) Andrea Rollins refers to the colonists and administrators of a planet she is responding to as "test subjects" in regards to a xenomorph nest discovery, a crashed ship, and a buried city. Is this Planet 4? I don't know yet but I bet Mother has known the whole time. The test subjects reference does show a continuity at Weyland-Yutani Corporation that puts the xenomorph above all else. The xenomorph is their god as it was to the Engineers before them. I wish you all a meaningful Easter. the fact that the Nostromo is the first vessel to explore the signal may come down to a couple of factors. how many of the ships making the journey that may have picked up the signal were controlled/ contracted to Weyland? they may well have picked up the signal but the company have programmed the ships computer to keep any unidentifiable signals a secret from the crew. also, the nostromo may just have been the first opportunity the company had to get a synthetic, custom built/ programmed for such a mission onboard a vessel that would be going anywhere near the system. in the weyland files, it is evident that the real prize, to weyland at least, is on lv426 but at greater risk but I def believe from the transmissions being made by David while the Prometheus crew sleeps means that if they got a transmission back, im sure David would have had the authority from weyland to change course for lv426. not much the crew couldv done about it. another thought though about transmissions. Shaw sends out her own warning that lv223 is dangerous and to be avoided but what happens to it? obviously when alien was made no thought was given to sequels/ prequels but now it is part of the alien timeline. 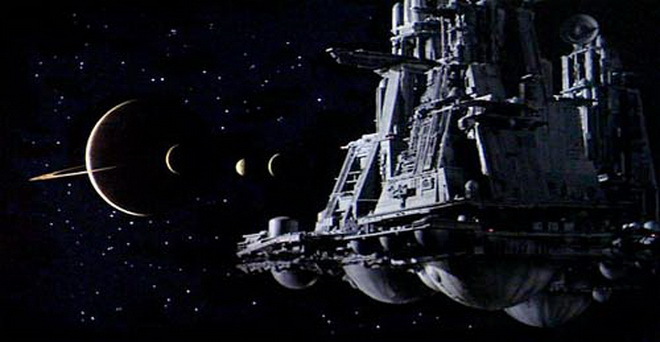 given that lv223 and lv426 orbit the same gas giant, will they have the signal turned off to explain why it wasn't picked up by the nostromo? or will it just be another thing like the surviving neomorph that wer just to 'forget exists'? I made an error when I wrote this topic. The Nostromo must have arrived at LV-426 sometime in June. One interesting thought is that since no one had intercepted the signal before, it makes it possible that the eggs there weren’t that old and could be connected to David (even if many of us don’t like it). But as cuponator3000 points out, Sir Peter Weyland and David was apparently aware of the signal even before the Prometheus expedition (starting 2091). In fact, LV-426 was discovered as early as 2039. Why wasn’t the signal recorded then (or was it)? As Ingeniero points out, the concept of “Advent” is interesting. Is it to be interpreted as the coming of the new god - David (and his disciples, the xenomorphs)? There are some other interesting things in the transmission log. There is a signal boost in Gliese (20 light years away with exoplanets). What is LV-138 - a colonized planet? I think a lot of this comes down to a common problem with the Franchise, which is the forever changing back story/plot with each incarnation of the franchise and released extras. We also have some Novels but i am always reluctant to take them as Canon unless they are a Official Novel of the movies... even then some of these can contradict things. The Franchise has many Flaws, ALIEN does set up a conspiracy theory about really how much the company knew, and it painted the picture that the detection of the Signal Prompted the Nostromo to be directed to Thedus and then have hidden Synthetic Agent ASH and Special Oder 937 activated. ALIENS proposed a Question to us about how come no one went back to LV-426 as surely those who had set up that Ash and Special Order 937 would be on the Nostromo, must have become concerned and interested in the disappearance of the Nostromo, and so WHY not send another mission to LV-426? Then WHY was it 35 years after the Nostromo mission that Hadleys Hope was set up and no incidents for like 22 years? When we get to ALIEN 3 we have to ask why Pursue Ripley for a Xenomorph? Logical would dictate that after the Nuke of Hadleys Hope there was no other place to source the Xenomorph. When we are looking at the Prometheus extras and back ground, indeed the company was aware of a Signal on LV-426 and that David was in-bedded in the mission to check it out. We can assume David had sent a series of transmissions with no response to LV-426 and as Dr Shaw's Star Maps indicated that System and LV-223 seemed more likely candidate to check out first, the Prometheus had carried on with this destination. This left us to consider that David maybe knew what the SOS Signal was, unless the Space Jockey Language was different to the Engineers. 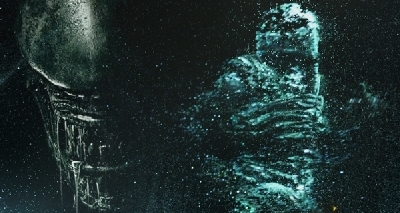 So by having David as the Creator, and the Time-Frame, could now indeed indicate the SOS from LV-426 is a far more recent event, hence why it was not detected previously... we DONT know when the Space Jockey Event happens, but i am willing to bank that there was NO Derelict on LV-426 at least post 2112 and likely latter than that. We have a number of in-continuity flaws that need addressing... but these to mean the potential for Novels to explore, but maybe we will never get any answers to them. *Surely the Weyland Company would want to investigate LV-223 after the Prometheus mission, even if its a probe.. or even if not at some point the company or Yutani would surely come across Dr Shaws SOS would they ignore this, and LV-223 for the next 10 years? *It appears David has given the company information about what he had been up to and his impending ARRIVAL to Origae-6, at the very least some information would be passed on to where the Company can obtain Davids Creation. And so we have to ask if the Company can Trace the Signal from near Planet 4 (it depends on where David is when he transmitted it). Certainly the Advent would inform the company David is on the Covenant and so they could track where he is going, or assume he will be going to Origae-6... Having knowledge that David had achieved his Creations from what was found during the Prometheus Mission would also surely alert the company to check out LV-223 if it had not already done so.. So what becomes of LV-223, Planet 4, and Origae-6 by the time of Alien? and Certainly Aliens...? These places must YIELD nothing by the year 2179, and maybe even 2122. It’s no exaggeration to say that Scott & Co have made a mess of everything, BigDave. They could have built a fascinating Alien Universe (like the Star Wars universe) instead they have fucked everything up (inconsistencies, bad choices as well as ruining mystery and archaism). As if their soul wasn’t in it. Sad. 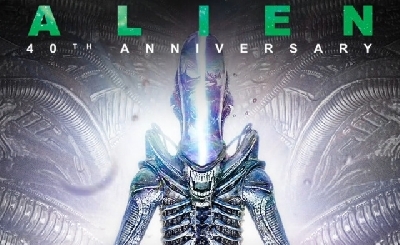 Still, let’s hope for one more movie where they at least try to connect into Alien somehow. 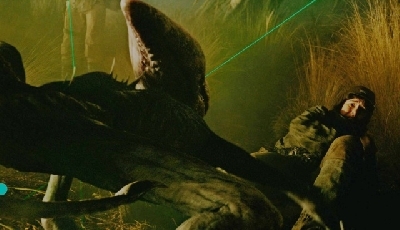 As for not picking up the signal on LV-426, the explanation could be the harsh weather conditions which disturb communication (as in “River of Pain"), but why then could Mother intercept it (or W-Y long before that)? According to “The Peter Weyland Files”, LV-426 was discovered in 2039 and in “River of Pain” they start terraforming the moon and establish Hadley’s Hope in 2157 (118 years later). 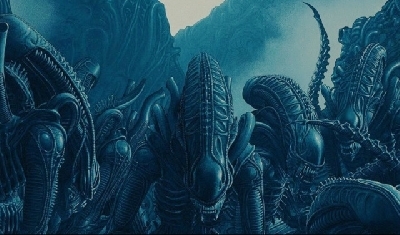 The xenomorph outbreak begins 22 years after the colony is established - in 2179. Yes, so for 22 years, no signal, no derelict and no alien is detected on LV-426. There is a lot of loose ends that need to be covered by the time we get to after ALIEN especially as the Prequels indicate that the Company are aware of things related to the Xenomorph and Engineer Race, prior to Alien and way prior to Hadleys Hope. If you take Alien: Isolation into account the signal was deactivated by Cpt. Marlow of the Anesidora in 2137. Hoping to prevent others finding it, he wanted the salvage rights. Thanks, Tiwaz! The happenings on Sevastopol are part of "The Weyland-Yutani Report" so I suppose we can consider that as canon? It explains why the colonists didn't find the derelict. According to "River of Pain", Carter Burke gives Newt's parents the coordinates to check it out. But why wait 22 years (even longer) when the company had known about it for a very long time? And indeed chli the why wait 22 years is important... we have to ask why... but the same applies with why not got to LV-223, Origae-6 and Planet 4 as surely these places have remnants of Davids Experiments or the means to Create similar. Hopefully eventually we will have a explanation to WHY in all these cases. And if there was no cover up or abandonment, then why not pursue it for so long? According to the books i read hardly anyone at WY knows what exactly happened to the Prometheus mission and what its purpose was, except for the really high ups or a selected few perhaps. Weyland just went missing for the majority of the company. Im under the impression that even Hideo Yutani didnt have an idea when "he" sent off the Covenant. I believe he wouldve reacted differently to the prophets visions otherwise, in Alien: Origins. And since we are talking books here. Maybe the company didnt deem it necessary. Remember the beacon was dead and theres been volcanic activity in the derelicts vicinity. Plus they had another possible source for alien material, LV-178. In Alien: Out Of The Shadows they had an outbreak in 2159 already. I just cant remember if the "mini Ash" in the Narcissus's computer was able to sent a report to WY. Well from Prometheus I got that he faked his death, so he couldn't have gone missing, but if the novels state that he went missing so be it. Just a thought and pure speculation. What if Hadley's Hope was also meant as base of operations for missions on LV-223? So that they didnt need a base in an possibly contaminated environment. Even if only a very select few in Weyland Corporation knew about the Prometheus mission and what happened to it, David (after the incidents on Planet 4) sent a message to the now merged W-Y about the mutagen and the xenomorph (“Advent”). Maybe W-Y would want to cover everything up since they are involved in many deaths which might lead to lawsuits etc? The story in “Out of the Shadows” would make a good movie by the way . . .
Hopefully there is a way to save this so the derelict will be a bit older than ten years or what ever as suggested in this post. It would feel like more of a mystery if it would be older but unfortunately this is something that they have not thought about. Minor poilers for A:OOTS,A:ROP, A:SOS and A:C Novel. The books (OOTS/SOS) also suggest that, at least, an xeno like creature is around for way longer than David (Underground city, third race etc). Wich would tie in with the Covenant novel where David states that he found an egg. If im not mistaken one of the characters in A:OOTS even identifies the aliens on LV-178 as the same as the one wich attacked the Nostromo. ROP also shows that there's a lot more to the derelict than just the jockey dying from a chestburster. And finally, I hope and think Scott won't get another shot at an Alien movie. While some of his ideas are not bad IMO the Alienverse suffered more than it benefited from his last two movies. It’s very sad, but I have to say that Scott has screwed everything up. 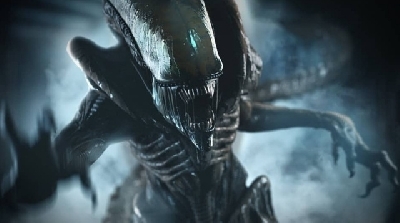 First by making the space jockey not ancient (not fossilized) and thereby not connected to the outbreak on LV-223, and then making David the creator of the xenomorph. It was a mistake letting him into the franchise again. At one time he said that he didn’t like sequels (prequels). He should have stuck with that. In “Sea of Sorrows”, Ripley encounters another ancient juggernaut with a deadly cargo (just like the derelict and the space jockey). The xenomorph is in this scenario ancient . . . I think we have to be a bit Cautious when reflecting towards any Books, even Official Novels of the Movies, the Problem is that each Movie offers something New, but also in doing so opens up some holes in the overall scheme of things, or do-not address certain things but makes them more complicated. While some Books may give some explanations to some things, other parts of the books do make contradictions to other, a lot of these are that a Book maybe give a clue or explanation for certain things, but then events of the Book conflict what latter movies would show. A example would be the Earlier Xenomorph type Organisms encountered that predated the Xenomorph.... and the whole process of how the Book covers these... in relation to then raising more Questions about THAT surely the Company must known much more and WHY pursue LV-426 and Ripley for the Xenomorph. Hopefully we get some clarity to why the company only pursues the Xenomorph on LV-426, that after Hadleys Hope Destruction leads to only the Escape Pod from the Sulaco in Alien 3 being the only means of the Xenomorph. I am going to say on one hand yes, in HINDSIGHT the Prequels maybe did not handle the Space Jockey and Xenomorphs to the best, but the intentions where there to EVOLVE the Story and Expand the Universe Beyond the Beast that is Cooked. Alien was a Mystery, one which RS had latter informed us about and latter movies seemed to indicate too, which was the Xenomorph was a Weapon... that the Space Jockey was using and then the Company wished to use... The Mystery is was the Xenomorph Specifically Engineered as a Weapon by the Space Jockey Race? Or was it a Natural Organism they saw a great use of as a Weapon? 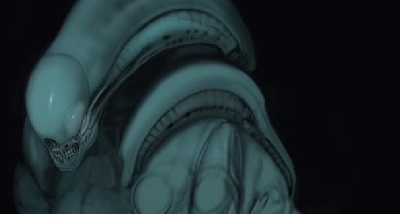 So they attempted to show us that with Alien Engineers, where its implied the Xenomorph was a Experimental Organisms likely Engineered from something they had discovered.. They being the Space Jockey who are revealed as a 15ft Humanoid Race who are actually our Creators, the GODS as per say. Problems arose with Prometheus when they felt the Xenomorph had been done over and over, but the whole Engineers Plot was FRESH and no one has ever addressed this Species.. In Hindsight Prometheus did not give many fans enough Xenomorph Clues or any real Alien movie kind of a Flick, with no Xenomorphs or Action like Scenes... But RS had wanted to explore the Space Jockey Race and steer away from the Xenomorph.